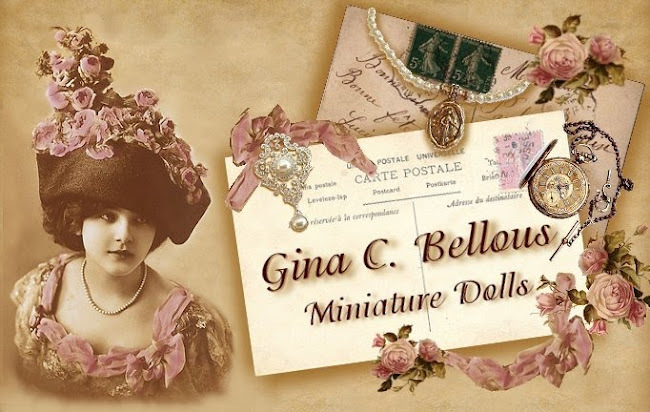 Gina C. Bellous Miniature Dolls: Abigail Has Spoken – My next miniature doll! 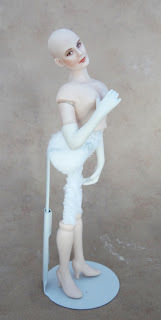 Okay, so Abagail (doll #4 as she was referred to yesterday), has always called to me. I agree with John that #4 was the way to go. I took Morena's advice and decided to block out all of the other miniature ladies that are calling to me and concentrate on her alone. 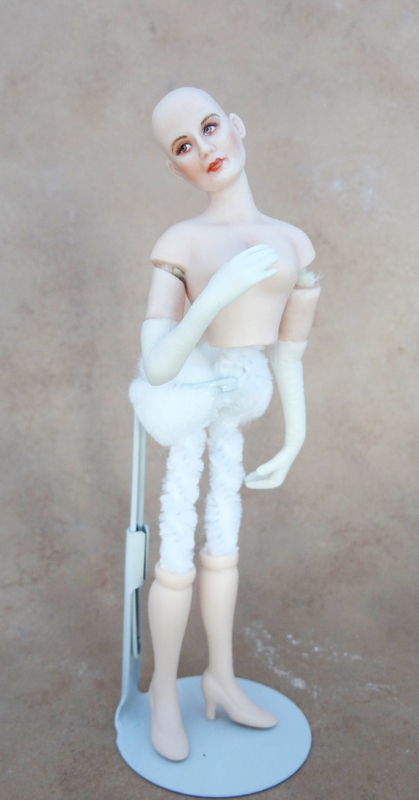 Even her arms were already decided from the very beginning and I handsculpted some 2 tone porcelain arms with white gloves and bare flesh shoulders. These may end up being covered up from above the elbow (or more). I wanted to do a more "casually" dressed victorian or Edwardian lady, perhaps off to have tea or something. Even when these ladies were not going to a ball they still were so well dressed. As you can see I am already positioning her. 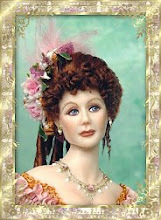 As I have mentioned in the past, this is a very imortant step in achieving a more lifelike doll rather than a stiff doll. Right now her sway in her ack looks exaggerated, but that is because her body hasn't been wrapped yet. Here is another angle where you can see the sway in the back, the chest up, etc. She will get fancy shoes before she is costumed. Thank you for the emails letting me know your thoughts on my creative conundrum! Yeay Abigail! LOL! She's going to be AMAZING!!!! Great choice, Gina! She will no doubt be another stunning jewel in your crown! 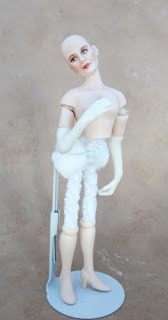 Abigail is fabulous already; looking forward to seeing her costumed!